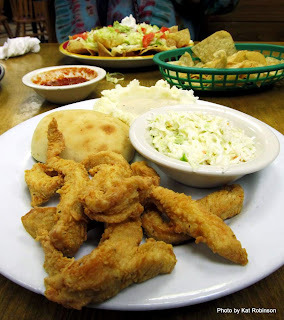 An excerpt from the new book Classic Eateries of the Ozarks and Arkansas River Valley by Kat Robinson (photography by Grav Weldon), published November 2013 by History Press. For more information, click here. This restaurant has closed. See the bottom of this page for information on the new restaurant that has taken its place. South of where U.S. 62 and U.S. 65 converge (today, above Bear Creek Springs, at what’s now known as the Eureka Springs overpass), the highway goes through town. Today’s path takes it almost to the downtown area before making a hard left at a stoplight and out onto two successive loops of bypass. Before the bypass, the highways converged with Arkansas Highway 7 and rolled into downtown as Main Street. Along this stretch you’ll find the offices for local radio stations, a handful of old motor courts and roadside hotels (some of which are still in operation), shops and even the grand Hotel Seville. Main Street hits the downtown square a couple blocks later, on which sits the grand restored Lyric Theater. After a couple blocks more, Highway 7 splits and goes south, while U.S. 65B crosses the bridge over little Harrison Lake and heads into the older suburbs. Not far from where the north end of the bypass hooks in, you’ll find a red-roofed restaurant that’s been hanging around serving the town—and traffic to Dogpatch USA—since 1969. This is Master Chef. This is not a fine dining establishment with a culinary-schooled chef and white-glove service. This is a community diner with an eclectic menu that’s been around for nearly forty-five years. 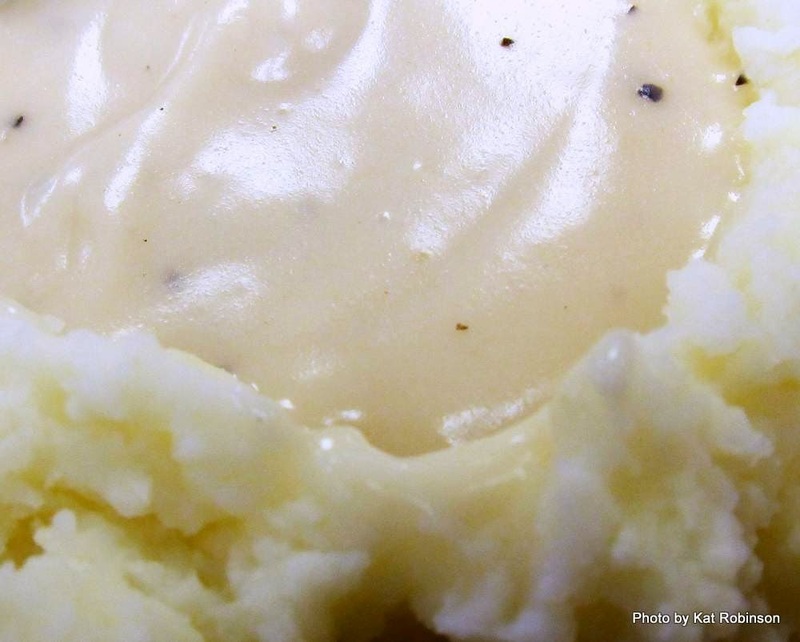 Master Chef served up what the community wanted and needed: another dairy diner. But then something interesting happened. Someone would come in and ask for a dish, and the folks there would attempt to make it. And if it was good, it got added to the menu. So over the years, the menu broadened. 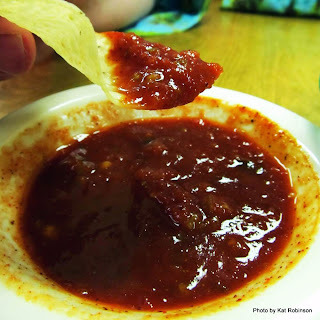 There were Ark-Mex dishes like the plato de saltillo (Saltillo plate, an enchilada covered in red sauce, cheese taco covered in cheese sauce, beef taco in a hard shell and tortilla chips with salsa, a long-standing popular combination at many Arkansas Mexican restaurants), fried chicken, cold sandwiches, barbecue sandwiches, shrimp dinners, fried catfish, “diet-centered meals,” fajita plates and even cashew chicken (the latter of which is less surprising when you learn that this popular “Chinese” dish was created just over an hour away in Springfield, Missouri). Baked potatoes stuffed with ham? All right. Raisin fried pie? Sure, why not? What’s crazy about Master Chef is that items kept going on the menu, and they didn’t come off. I can remember visiting the restaurant on one of those Dogpatch USA trips as a kid. Even then, I can recall coming in, walking through the waist-high divided lobby and up to the ordering counter and being absolutely overwhelmed by the choices. On visiting in April 2011, when I looked up and my eyes got big at the even more expanded menu above the kitchen, the counter girl handed me a three ring binder full of items to choose from. Ron and Burlene Hinson bought Master Chef in 1992 from Jerry Sharp. Burlene had worked at Master Chef since it opened in 1969; she knew what made the restaurant great, and she didn’t change a thing. The Hinsons have kept up the long-established business and it’s still a very important part of the community. So Master Chef does a lot of things, but does it do them well? The Ark-Mex is good—it’s not the authentic Mexican fare we’re used to today, but it’s not expected to be, either. Burgers are fine, and the stuffed potatoes are pretty dang good. chicken, rather than another battered and deep-fried wonder. UPDATE: Since the book was published, Master Chef has closed and is now up for sale. Anyone want to buy a well-established restaurant in Harrison? ANOTHER UPDATE: Master Chef's been purchased by the folks who own the Ranch House Restaurant and is set to re-open in January 2014. There is a possibility that Ranch House owner is looking to open a second location there. Not sure of the specifics yet.